Among the non-temple related activities in Siem Reap is a visit to the floating village of Chong Khneas. 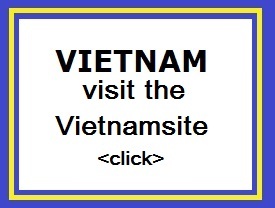 First you will need to hire a tuk tuk or car to drive you out of town towards the river. This cost $8 for a roundtrip with the driver waiting for while you areon the boat. 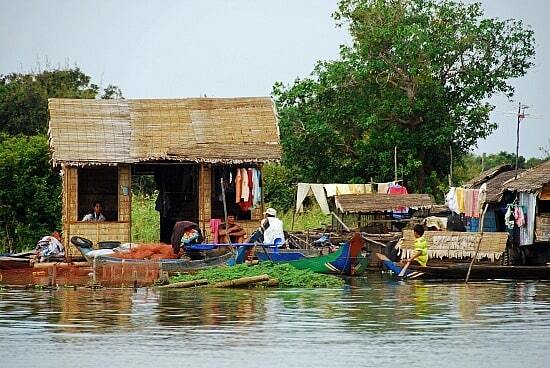 Chong Khneas, as you know, is a floating village at the edge of the Tonle Sap Lake. 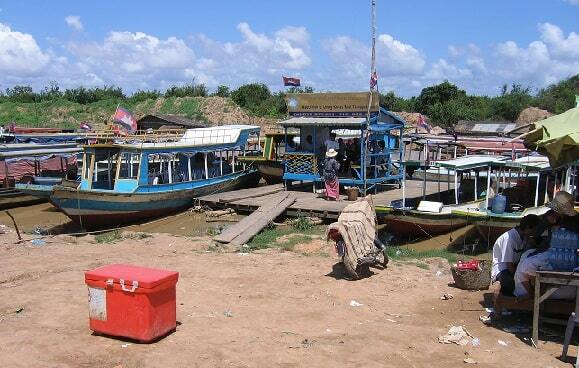 This is where the boat docks if you’re arriving from Battambang or Phnom Penh. It’s about 20 – 30 minutes from the center of Siem Reap. Just before the lake is a post of the cooperative of boat owners Chong Khneas, where you are supposed to pay $ 15 entrance fee. It is still a further 5 minutes drive to the departure of the boats. A two-hour long boat ride to the village most recently cost $20 per person if you are less then ten people. Complete with driver and boat guide, the motorized boat goes through the floating village for about 15 minutes. 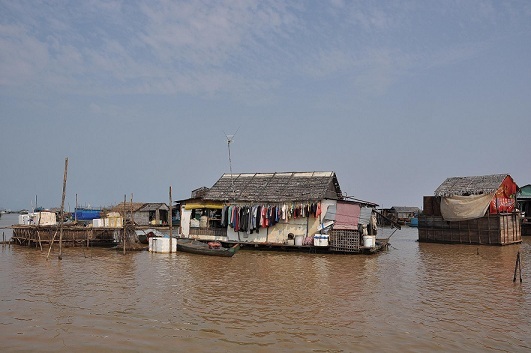 The boat goes on to Tonle Sap lake, which joins the river in shrinking and expanding dramatically with the seasons, thereby causing villagers to move their floating houses to different points. The next tourist stop is at the cat fish and alligator farm / souvenir shop. Then the boat takes you back to the shore.